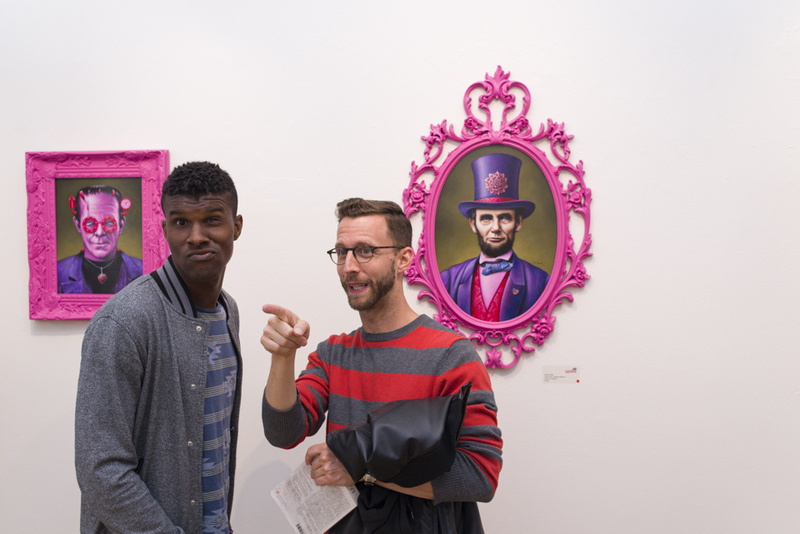 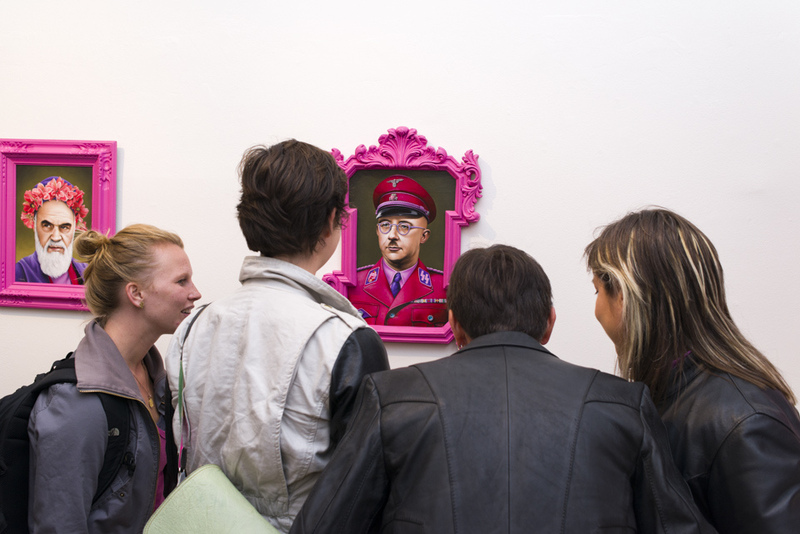 Last week, the Spoke Art gallery in San Francisco unveiled all new works from Scott Scheidly. 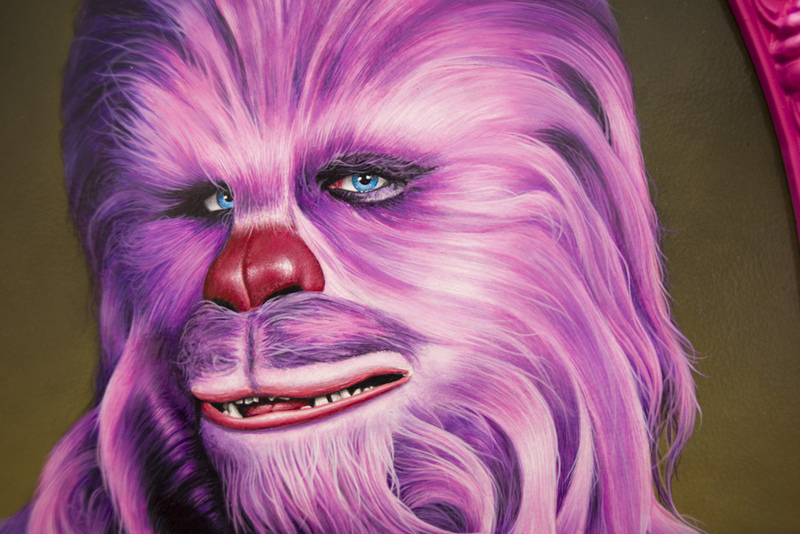 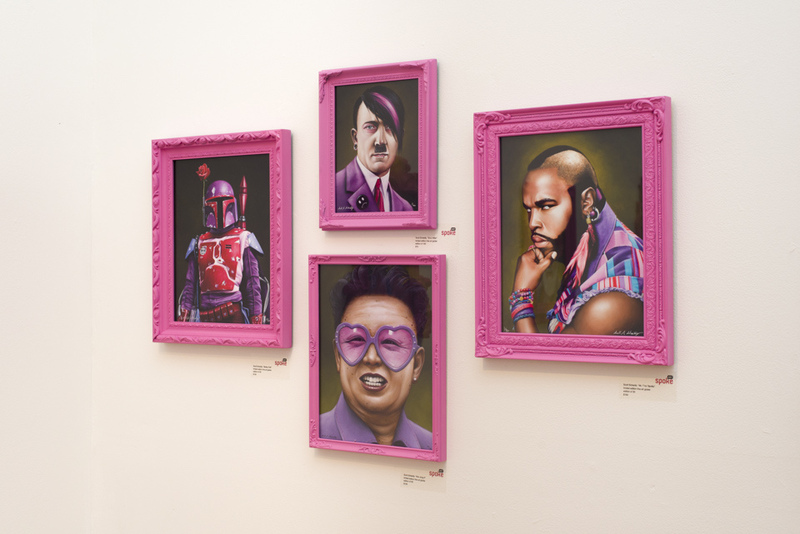 The Pinks continues his series of unique portraits of infamous characters in history as well as imaginary ones taken straight from pop culture, but remixed with a twist. 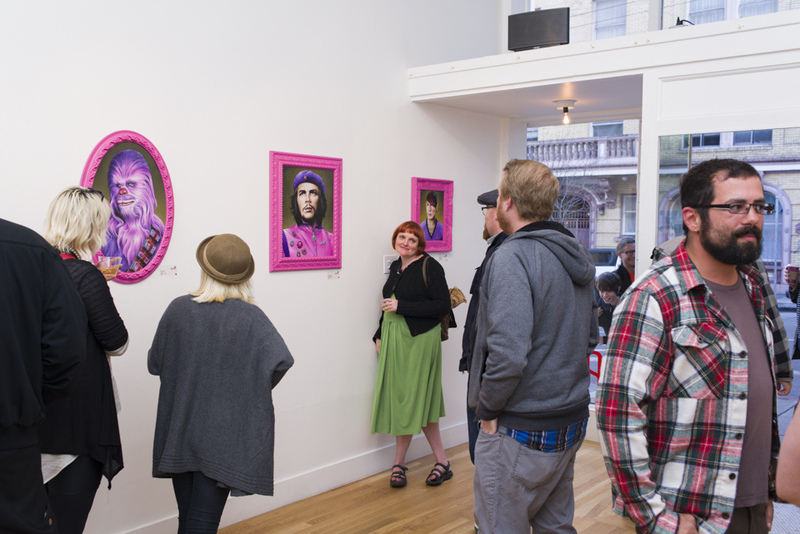 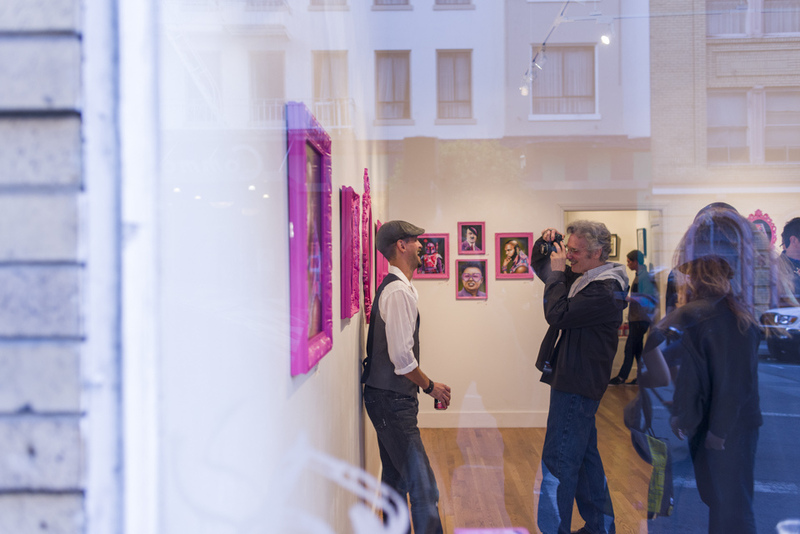 Take a look at more of the sold out opening in the photos below and stop by in person if you are in town before the close date of August 24th. 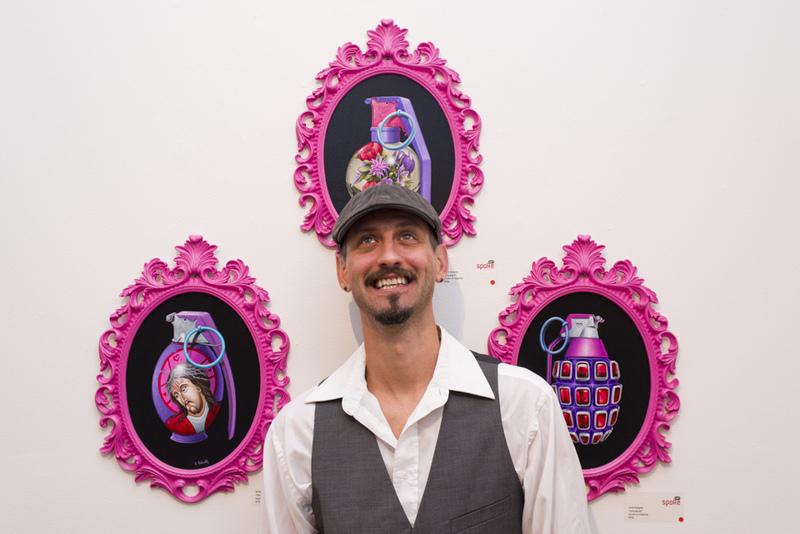 Also, take a look at a couple prints from the show available here.